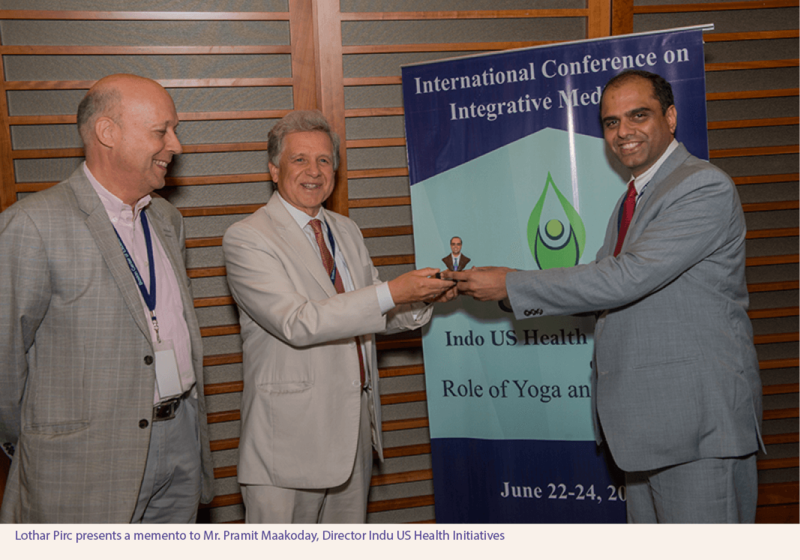 At very short notice I was invited by Indo-US Health Initiatives to deliver a speech at the 3rd International Conference on Integrative Medicine with the theme: The Role of Ayurveda and Yoga in Cancer and Palliative Care. 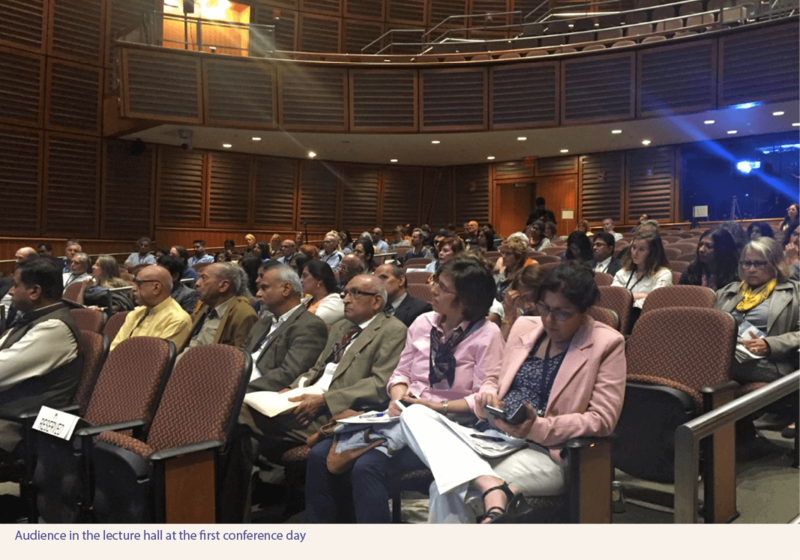 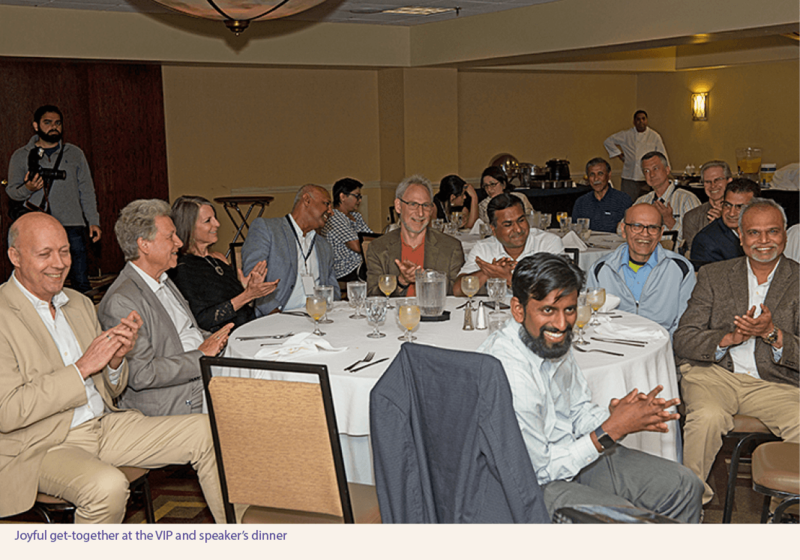 The Conference took place from 22nd to 24th June 2018 at Harvard Medical School, Boston, USA. 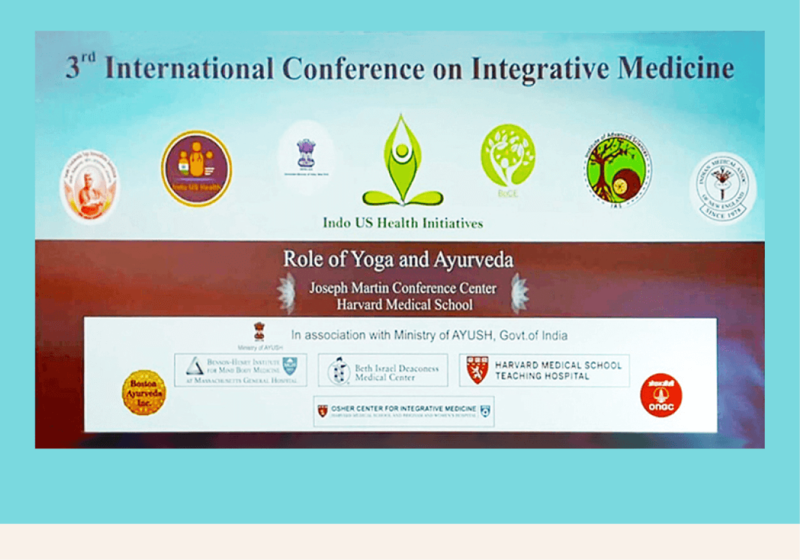 It was indeed a special opportunity and a joy to be there and present Maharishi AyurVeda (MAV) at this prestigious conference. 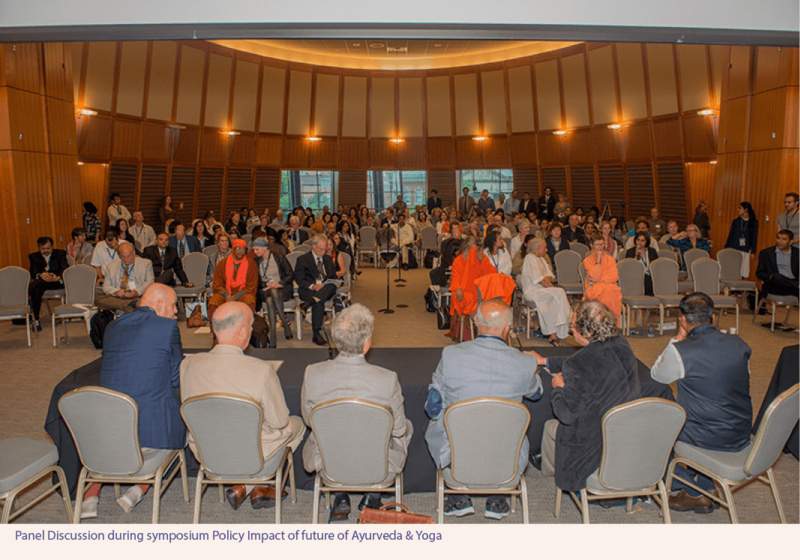 I spoke about our experience in Bad Ems, Germany, treating more than 25,000 patients with various chronic diseases over the last 25 years and I also presented some very impressive published scientific research on the experience of the various treatment modalities of Maharishi AyurVeda. 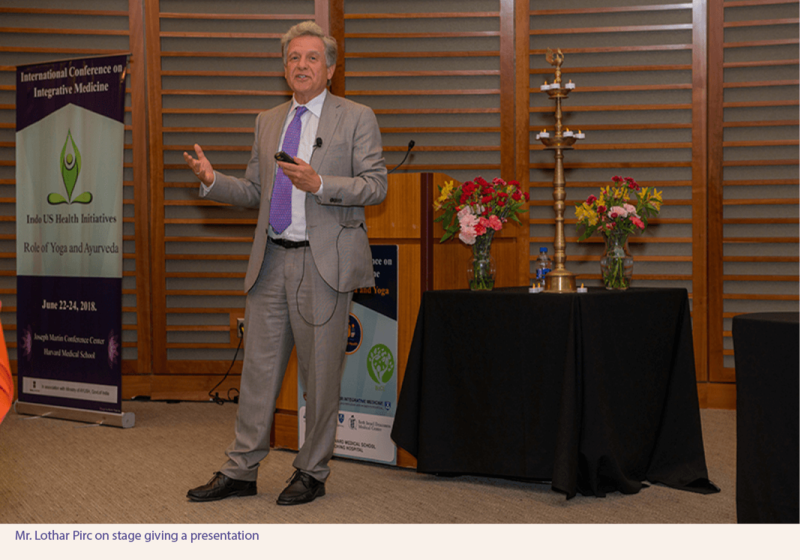 The biggest US health Insurance, Blue Cross Blue Shield, compared its data in the state of Iowa for its 500.000 members with 2.000 members practicing Transcendental Meditation, the consciousness approach of Maharishi AyurVeda, and found an average reduction of health care costs by 50%. 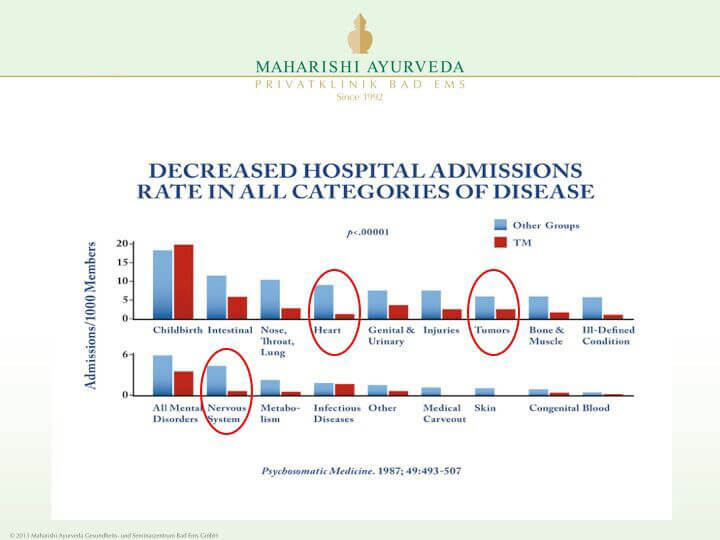 In the case of cancer the reduction in the area of hospital costs was even at 56%. 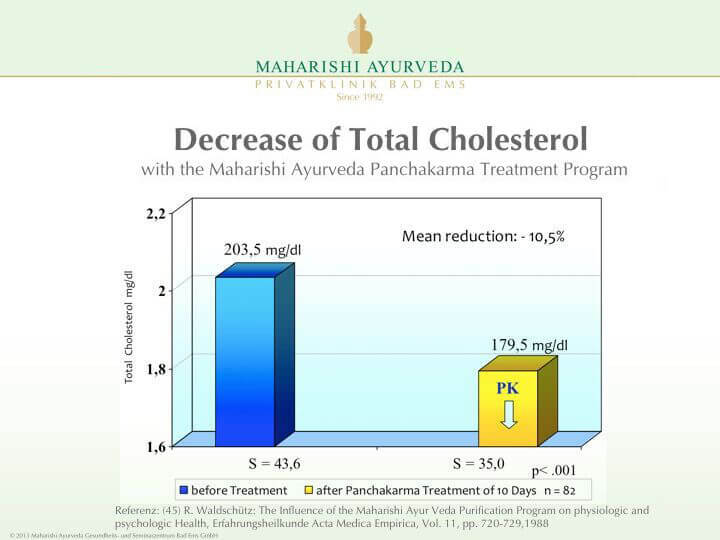 Fat soluble toxins like pesticides and herbicides have usually a duration time of 25 years. 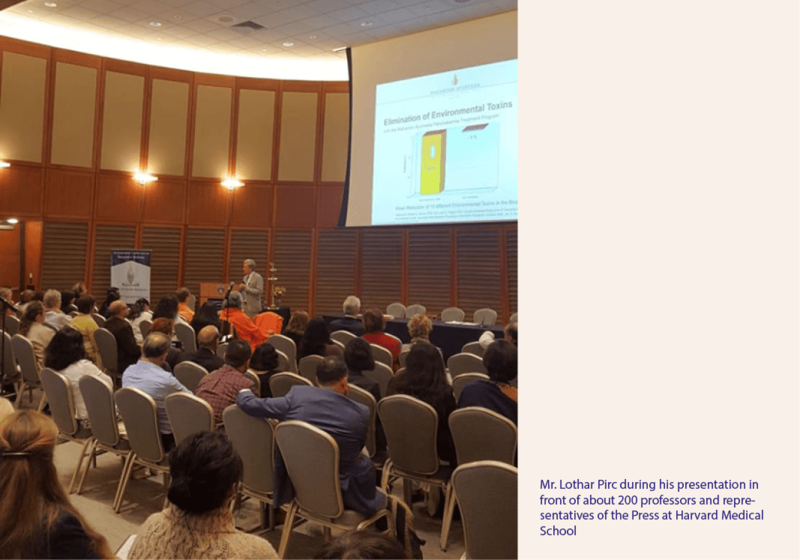 They are also associated with Cancer and aging. 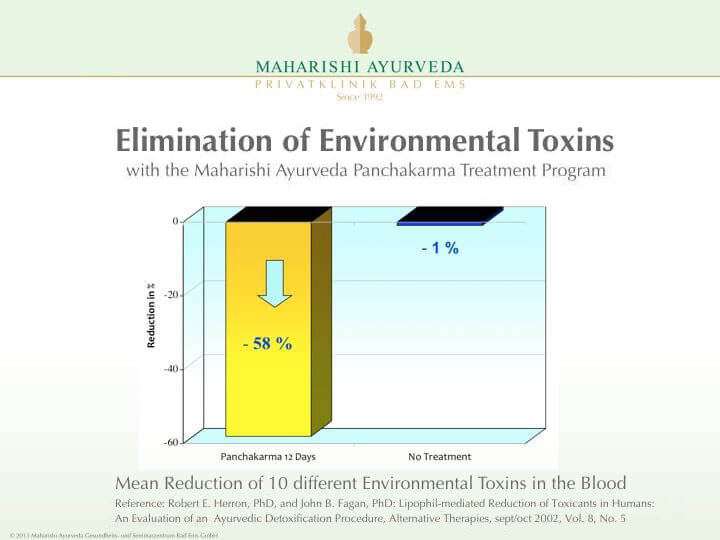 A 58% elimination of environmental toxins, including pesticide residues, was found after 12 days of Panchakarma. 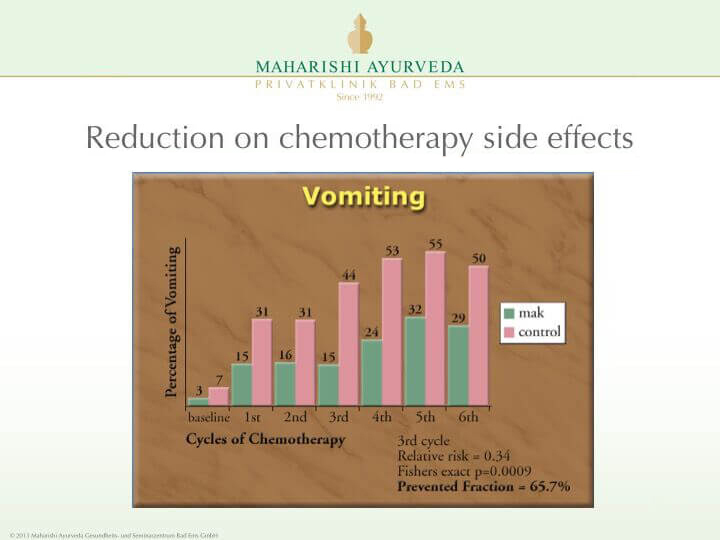 It would normally take decades for the toxins to leave the body. 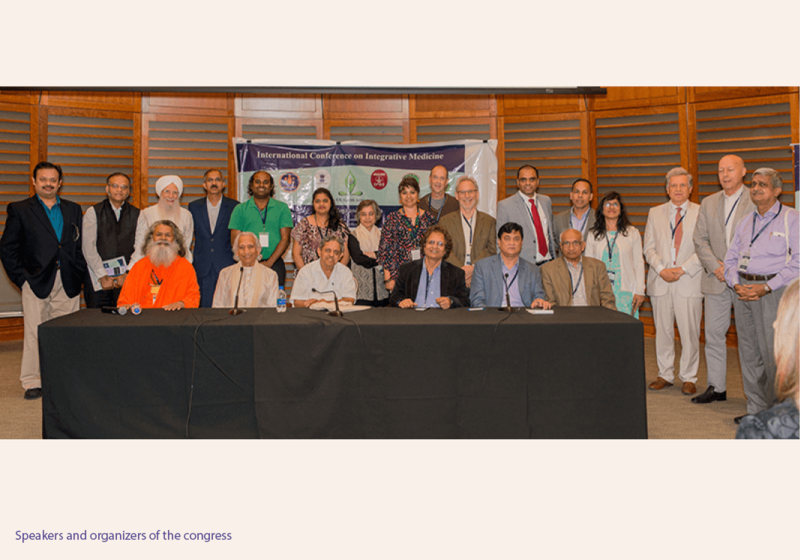 My colleague Dr. German Martina, MD, Vice President of UMLAC (Universidad Maharishi de Latino America y el Caribe) and an experienced Maharishi AyurVeda doctor from Argentina and myself were very well received by various Professors and other leaders of the conference such as Dr. Nagendra and two well known Yoga Masters from India and the US, Paramhans Swami Maheshwarananda, Founder of the International Sri Deep Madhavananda Ashram Fellowship and Yogi Amrit Desai, Founder of the Amrit Yoga Institute in Salt Spring Florida USA, who were principal guests. 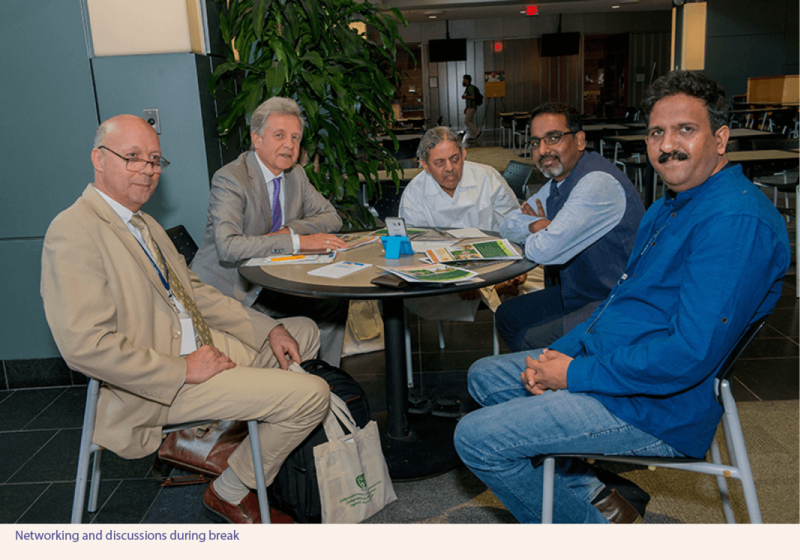 Most of the dignitaries and speakers knew me from previous conferences. 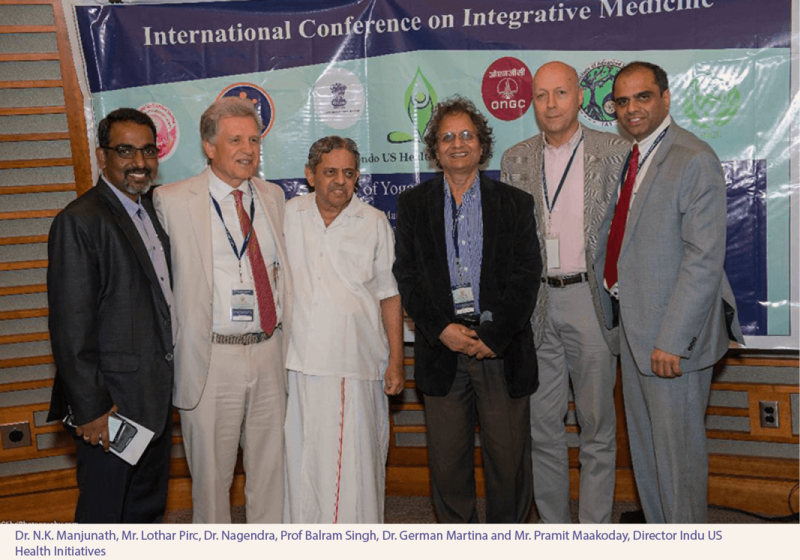 Dr. Balram Singh, the chief organiser of this conference, mentioned when he introduced me to the audience that many years ago he learned the Transcendental Meditation technique from me. 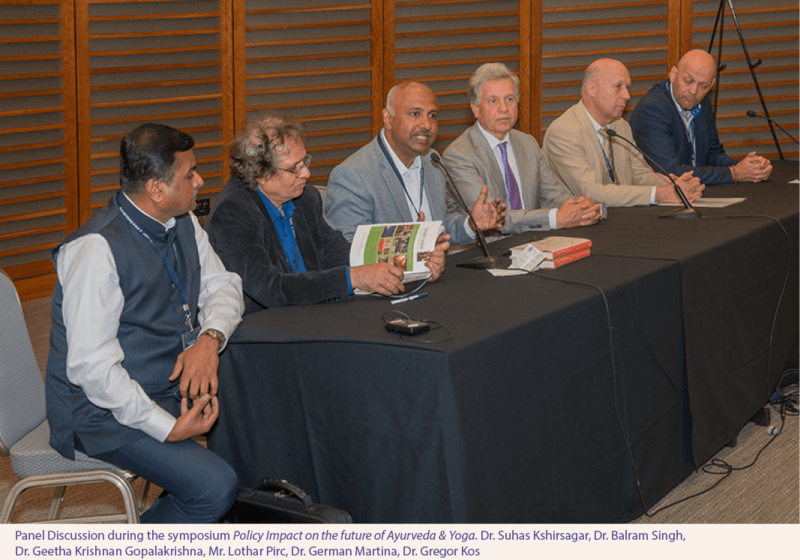 We had several good interactions with senior officials such as Dr. Manoj Nesari, Advisor of the AYUSH Minister, Mr. Sandeep Chakravorty, Indian Consul General in New York and Dr. Geetha Krishnan Gopalakrishna, senior officer of WHO and we informed them about Maharishi’s programmes. 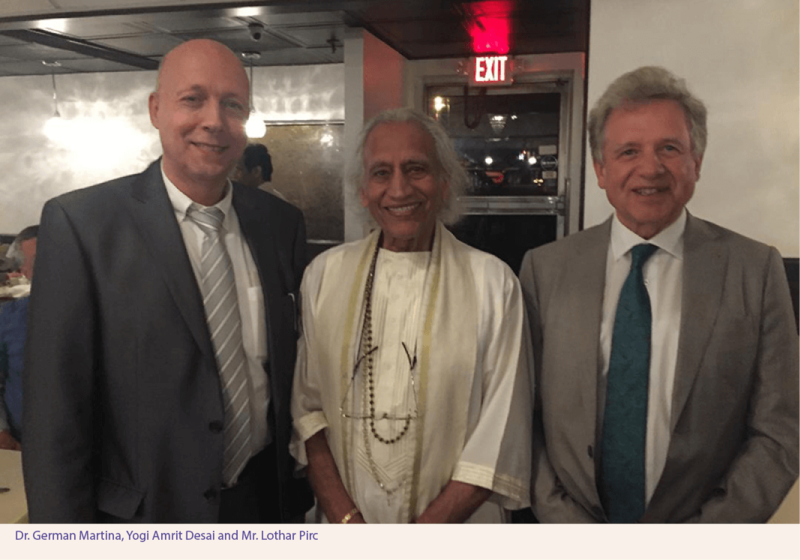 We expect that these contacts will result in several very promising new cooperation for the forthcoming research department at Maharishi AyurVeda health center Bad Ems, Germany.